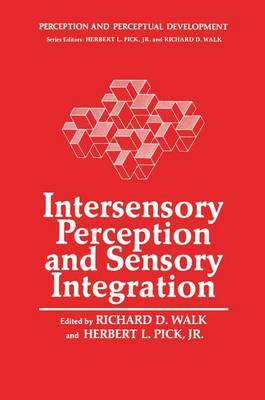 This volume on intersensory perception and sensory integration is the second volume of the series, Perception and Perceptual Development: A Critical Review Series. The topic of the volume is timely, for in recent years, many investigators have noted that information about any natural event is obtained by a perceiver from a variety of sources. Such an observation immediately leads to the question of how this information is synthesized and organized. Of course, the implication that there are several discrete input channels that must be processed has come under immediate attack by researchers such as the Gibsons. They find it extremely artificial to regard natural information as being cut up and requiring cementing. Nevertheless, the possibility that during ontogene- sis, perception involves the integration of separate information has attracted the attention of scholars concerned with both normal and abnormal development. In the case of normal development, a lively controversy has arisen between those who believe perceptual develop- ment goes from integration toward differentiation and those who hold the opposite view. In the case of abnormal psychological development such as learning disabilities, many workers have suggested that percep- tual integration is at fault. In thinking about the issues raised in this volume, we are particularly indebted to our former teachers and colleagues: Eleanor and James Gibson, T. A. Ryan, Robert B. MacLeod, and Jerome Bruner. We are pleased to acknowledge the secretarial help of Karen Weeks in the preparation of this volume.